Per requests, here's my current setup for BO4. I personally like utilizing Aim Assist (AA) as I believe it gives me an advantage. Why? Because when utilizing AA I can out maneuver and out aim "most" of my opponents that can't move and turn as fast as I can and maintain a high degree of accuracy. I can do this because I can play at higher sensitivity's then a controller player and still be accurate with my shots thanks to the slow down effects of AA. With a little practice XIM can easily put you into the "Elite" class of controller players. The biggest problem with AA is it can be a little over powering for a device as precise as a mouse. For more on that, please see the link in my signature titled "Anti Aim Assist curve set for any FPS game". PLEASE NOTE: I'm currently getting away from any AA curves with APEX. APEX polling at 1000hz combined with SYNC OFF, 12000 DPI and some added boost cuts through AA nicely. If you're newer to XIM and you don't know me and you're wondering if this setup may apply to you. Here's a little background on me and my setup. "I use 12000 dpi because it helps over come AA a little. I use SYNC OFF, because it helps over come AA a little, I use 1000hz. because it helps over come AA a little. Then I use Boost to do the rest. The objective would be to use as little Boost as possible because its the only one of these that will have a negative impact on Linear movement. I've taken all of these things into account, and came up with the settings I've shared. 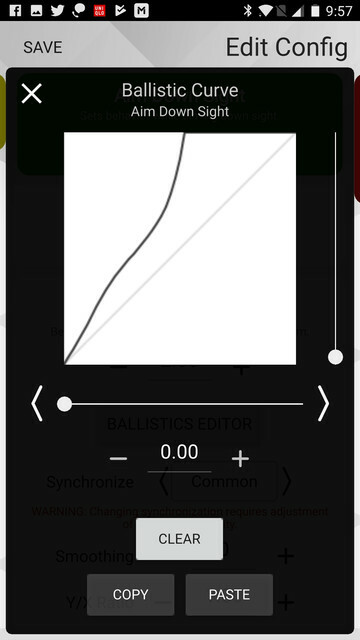 The goal being to make Aim Assist feel more manageable without degrading linear and micro movements to noticeably. Morale of the story... The more you lower DPI, Polling, SYNC settings and Sensitivity, the more you have to compensate with curves and boost if Aim Assist is too strong for you. I understand wanting to use lower DPI, I honestly Used to be "That Guy!" Od1n and myself were probably the biggest "known members" here that have spoken this way. I swore on 4000 dpi! That was my thing with my Destiny Setup. 4000 DPI, that's because I grew up with it. 12000 dpi felt jittery to me. Then APEX came along. As an Alpha tester I was committed to test and trial running at 1000hz. At first this felt pretty Jittery to me and I had some real concerns about the quality of performance. But after about a week of playing at 1000hz. and after I realized how much better Aim Assist felt to me while playing at 1000hz. I was completely sold that this is the future of XIM! It takes performance up a few notches, it's more responsive, it cuts through AA better! Then HE4DHUNTER convinced me to do something I swore I NEVER would do, convert to 12000 DPI. Again, at first this felt jittery to me as much or more so then 1000hz. But I learned to dial in my sensitivity with these new settings and my G502. I learned to steady my hand a little. Now, I won't stray from 12000 DPI either. My point is. I do these things for a reason. It made sense to me to alter my style and switch to 12000 dpi because I liked how it made AA feel for me when compared to lower DPI settings. 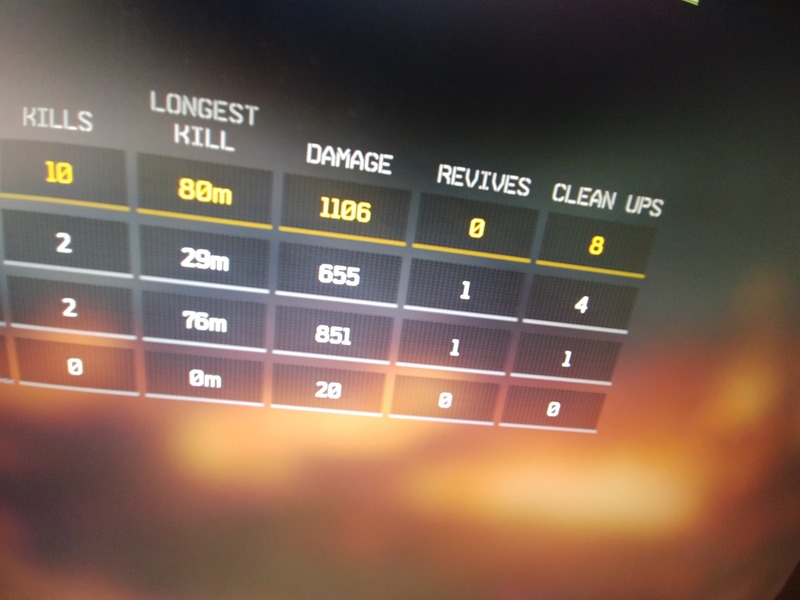 Aim Assist has always been my one and only Nemesis ever since I bought my first XIM and it seems to be just getting stronger with most games. So what you see in my setup is quite literally an evolution of my gaming style over the last 5 years (maybe more)! But it was a necessity for me personally. In order to make AA work for me, to my expectations and still keep linear movement as crisp and clean as possible. This setup is what I had to do. That being said, everyone is different. This is the story behind my setup. If you asked "what could I do to match your settings?" I don't know how to fully explain that to you without sharing my journey. So sorry for the long winded, ba,blah,ba blah. But that's my answer. - High DPI helps cut through AA (Aim Assist). - 1000hz helps cut through AA. - SYNC OFF helps cut through AA. - Higher Sensitivity helps cut through AA. - Boost helps cut through AA. - Use your mouses Max DPI setting. - Activate Advanced settings in XIM Manager. - Use 1000hz in XIM Manager and 1000 polling on your mouse. (if your mouse doesn't poll at 1000hz consistently and you're feeling Stutter, then run XIM manager at 500hz. This will make AA slightly stronger but fix the stutter. If you're unsure if it's your mouse's polling rate, then add Smoothing and see if it fixes the issue. You should add Smoothing in increments of 1 until stutter is gone. You want to keep Smoothing as low as possible as it will also make AA stronger). - Change your Sync setting from DEFAULT to SYNC OFF, in manager. - Adjust your Hip sensitivity in game until you feel comfortable. Adjust your ADS sensitivity the same, but maybe push it a little toward the fast side. Remember higher sens = less AA and raising your ADS sensitivity is the Purest way of eliminating AA. So push it but make sure it's controllable, I suggest you test it on bots in a private game to get the feel for how AA is effecting your aim. - While testing your aim in a private match, Adjust boost in increments of 100 until AA feels manageable to you. You can then fine tune in smaller increments if you'd like, I'd suggest 25 minimum. If needed, I suggest the following for applying Smoothing to your setup. If needed, I suggest the following for applying Boost to your setup. - BLACKOUT: 0-400 (Going above 400 in Blackout may make long range sniping difficult). - MULTIPLAYER: 0-1000 (All depends on how much AA you like, if you go above 1000 though aiming gets to responsive IMO). FULL CONFIG (Sync Off) - I'm a NAV user, so you'll have to assign buttons to your liking. This "Full Config Code" is for APEX ONLY! If the settings above don't work for you then you can try an Anti Aim Assist curve. If you're going to use any of these curves I suggest you first remove any Boost from your settings. Here's a full configuration code. This is an Alpha Stencil ST and not meant for use with ANY particular game. This Configs only purpose is to act as a storage area for AAA curves. Every sub within this config has a AAA curve in it. Every AAA curve I currently recommend is within this config. Just copy/paste the curve from this config into your own. Anti Aim Assist Curves Storage Config. 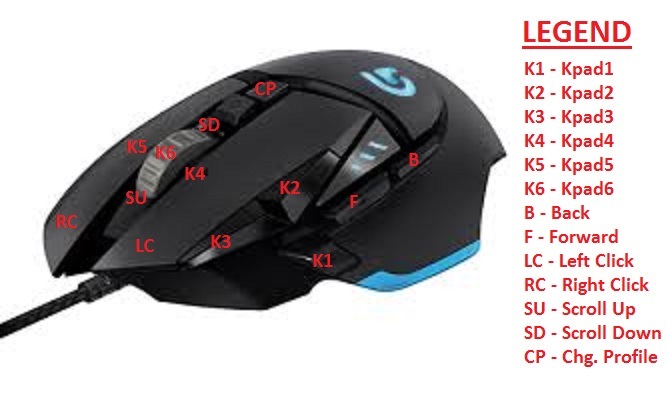 Here's my G502 button mapping (cause several have asked). How are you handling the wingsuit, is it just a curve? No turn assist, swapping sticks etc? I've been using the same setup without curves and on 3200k DPI. I've liked your curves for other games and will test these curves too! Ps: I prefer to use and learn with AA on. Thank you for taking the to post these! @RML are you using Turn assist in this configuration for the Wing Suit? I'm using his setup and the wingsuit requires turn assist. I don't see how he could play without it. What is your hip curve and setting ? I am very sorry for asking this but when I try to copy and paste the code into my xim4 settings on Android I am getting the red caution icon. Unfortunately, with my bad lucky YouTube is down and I cant really watch any help videos atm...FML. Do I need to update my Xim4 app for firmware? I am on Firmware 4.00.20170103. Thanks RML!! Can you add a full config for us plz. Yes it does, thank you. I added that info to the OP. Thank RML. It seems your ADS [ACTIVE] Curve is different from ADS curve in full configuration. Which one do you use?